Whether doing a business or buying a commodity, online reviews are making a considerable impact upon people’s choice and opinions. They, however, reads fewer opinion in order to bring better and enlarged results for making better buying results. 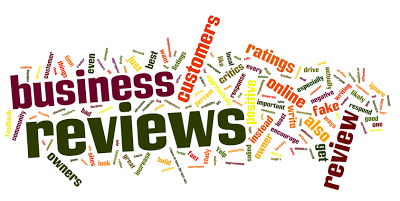 This trend of making opinion and decision after online reviews has necessitated local businesses to have an online reputation for their brand and services and regulate negative reviews in a swift and an effective manner. The market research has emphasized that more and more people are using online reviews to authenticate a business and this upward trend is rapidly on rise since 2012. Shoppers and customers are using review as an effective medium for a logical reasoning in purchasing cycle for all types of products and services. Whether it is a decision about a nice restaurant for dinner or looking for a new yoga teacher, online reviews are always handy and useful. On the percentage of customers reading online review, about 70% read lesser than six reviews and about 22% read more than seven reviews. So it is a duty of an online business to respond positively to a negative review and respond positively to that review. According to about 70% percent customers in 2013 they believe positive customer review for making an opinion about a business activity. With a real actual information, an online review influence both attitude and the resultant behavior of a customer. They can influence over a customer’s opinion to choose a business over its competitors. The hidden messages behind a corporate identity now are more accessible and display the true personality of a brand through shared experiences of other consumers. Facebook and Twitter are now emerging as a primary route and recommendation channel for opinion about a business activity. With respect authenticity of a review a customer even verify genuineness of a review as well. For age group segregation, younger customers with clinging more to gadgets are better believer of online reviews. So, it is a known factor that for a business success, online reviews are even more imperative for a consumer’s decision, ever before.